The Seattle Seahawks promote responsible drinking and positive fan behavior at CenturyLink Field. The Seahawks alcohol management plan ensures that fans have a safe and fun experience. Guests who cannot conform their conduct to these rules are not welcome at Seattle Seahawks games. Unruly or inconsiderate behavior and fighting will not be tolerated and will result in ejection from the stadium and/or permanent revocation of ticket privileges. As part of an NFL initiative, the Seahawks will require fans that are ejected from the stadium for disruptive or violent behavior to take a four-hour online course before they are permitted to come back into the facility. The cost of the course to Seahawks fans will be $75. There are 5 locations of the Bud Light “Good Sport” designated driver program at CenturyLink Field. Fans who pledge to be designated drivers receive a complimentary soft drink and a chance to be selected as the Designated Driver for the Game. Designated Drivers for the Game are recognized on the stadium video board and receive a Seahawks gift. 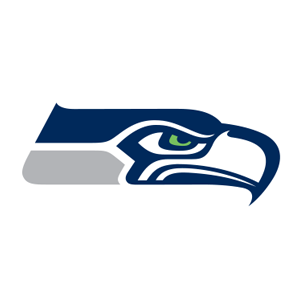 Continuing for the 2016 NFL season, the Seattle Seahawks are facing off against the Arizona Cardinals and the San Francisco 49ers in the Bud Light Good Sport Designated Driver Challenge. Seahawks fans who pledge to be designated drivers at CenturyLink Field earn the Seahawks a touchdown (6 points) in the Challenge. Seahawks fans who “Like” the Seahawks Designated Driver Challenge Facebook page earn the Seahawks an extra point in the Challenge. Please make the pledge to be a responsible Seahawks fan and help the Seahawks win the Challenge!